Citigroup Inc. announced late Sunday night that chairman and CEO Charles Prince has retired, and that it expects an additional $5-7 billion after-tax writedown related to subprime mortgages. The writedown equals $8-11 billion before taxes. Citigroup also said it has no plans to reduce its common-stock dividend, and expects its capital levels to return to normal levels by the end of the second quarter of 2008. Robert Rubin, the former U.S. Treasury Secretary, will become Citigroup's chairman, while Sir Win Bischoff, the chairman of Citigroup's European operations, will become interim CEO. Prince's departure, which came after Citigroup directors held an emergency board meeting over the weekend, ends a tumultuous 4-year tenure for Prince, marked by heavy management turnover, questions over strategy, and mounting losses from bad loans and mortgages. The added writedown comes just three weeks after Citigroup announced a $6.5-billion writedown for loan losses, subprime mortgages and other debt. Its also five days after Merrill Lynch ousted its CEO, Stanley O'Neal, following an $8.4-billion writedown. The problems are spurring more calls for Citigroup to be broken up because it is too unwieldy. According to Forbes (circa Sept 2007) Citigroup is the world's largest company, with total assets of $2.4 trillion although since then its profits and market value have plummeted. 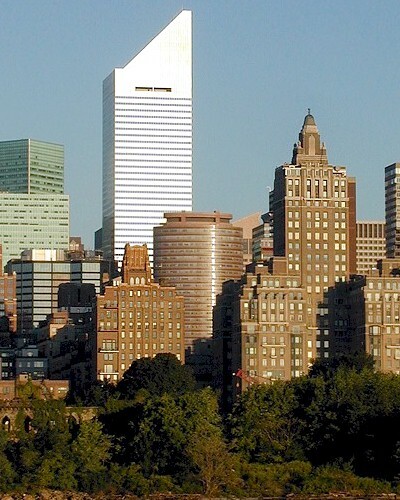 Citigroup formed in 1998 following the $140 billion merger of Citicorp and Travelers Group to create the world's largest financial services organization. The history of the company is thus divided into the history of several firms that over time amalgamated into Citicorp - a multinational banking corporation operating in nearly 100 countries; or Travelers Group, whose businesses covered credit services, consumer finance, brokerage and insurance. As such, the company history dates back to the founding of the City Bank of New York (later Citibank) in 1812, Bank Handlowy in 1870, Smith Barney in 1873, and Salomon Brothers in 1910. I just don't think Prince was the right person to run Citigroup. He was brought in to fix their legal problems because he's a lawyer, but they need someone who is capable of really building the business, and I don't think that's Prince's forte. Prince, 57, has struggled to improve results at Citigroup, especially in U.S. consumer banking, its biggest business. He has also been under enormous pressure to cut expenses, including from the New York-based bank's largest individual investor, Saudi Prince Alwaleed bin Talal. While he appeared to have some success early this year, the writedown all but thwarted that goal for 2007. Prince didn't help his cause in July when he said Citigroup was "still dancing" to a private-equity buyout boom that was about to flame out, suggesting to investors that he didn't appreciate the risks in leveraged lending. Citigroup also has exposure to mortgages through tens of billions of dollars of off-balance-sheet structured investment vehicles, and is in talks with rivals to set up a conduit to buy assets from troubled SIVs. The S.E.C. is examining whether Citigroup accounted properly for its own SIVs. Investors have pushed Citigroup shares down 32% this year. The stock is also down 17% since Prince in October, 2003, took over as the hand-picked successor of Sanford "Sandy" Weill, his mentor since joining a Baltimore firm called Commercial Credit Co in 1986. It's not clear who might become Citigroup's permanent CEO. Upper management has undergone rapid turnover, leaving the bank without an obvious immediate successor. The first half of Mr. Prince's tenure was marked by a cleanup of ethical and regulatory problems. Citigroup paid more than $5-billion to settle litigation, including over its work for Enron Corp. and the issuance of inflated stock research by analysts like the now-discredited Jack Grubman. Prince bowed deeply at a October, 2004, Tokyo news conference in apology for a scandal that caused the closure of Citigroup's private bank in Japan. The Fed barred the bank from acquisitions for a year while it cleaned up its house. Citigroup has experienced several significant business issues. Some of these are in specific businesses and are shared amongst other businesses within that industry, while some result from a conflict or collusion between different divisions of Citigroup. This second type of scandal have caused some to call into question the "financial supermarket" aspect of Citigroup. Biased research, predatory lending, the Japan Private Bank scandal, Citigroup's proprietary government bond trading scandal, the Brasil Telecom and Brazilian pension funds thing, Improper assessment of late fees, insider trading... they've had a lot of problems over the years. They were also accused of helping Enron hide their losses by loaning money to those companies in a special way that would reduce liabilities visible on the balance sheet. In May 2004 the company agreed to pay $2.65 billion to settle a class action lawsuit brought on behalf of purchasers of WorldCom securities. Oh, and the new New York Mets stadium set to open by 2009 will be called Citi Field. Perfect.